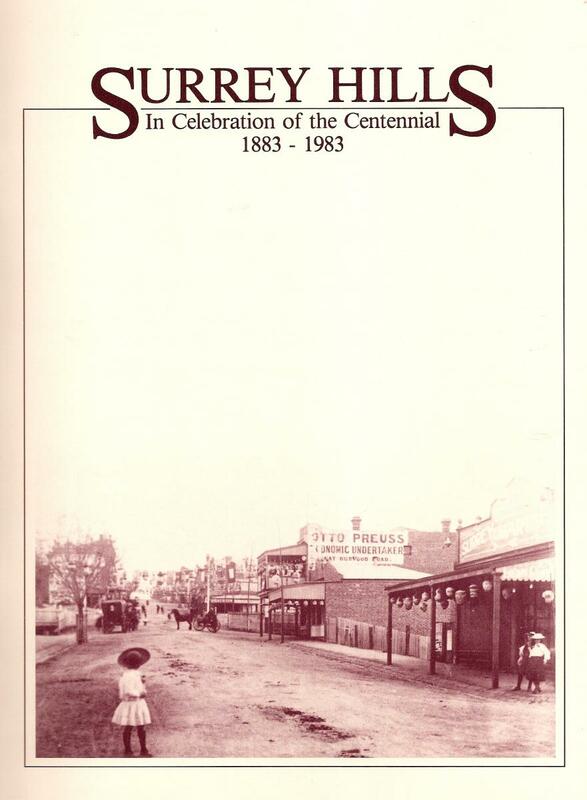 The Surrey Hills Heritage Collection is a significant collection, which includes photos, documents, memorabilia, advertisements and ephemera relating to the history of Surrey Hills and Mont Albert. You can also learn more about the history of 3127 by following the Surrey Hills History Facebook page. This was launched on 9 October 2015 as part of History Week. The Surrey Hills Neighbourhood Centre is very fortunate to have a wonderful collection of photos which give us glimpses of what Surrey Hills was like over time. This is thanks to those who have lent family photos for copying and to people like Ken Hall whose photos of the 1980’s are now quite historic. The photos are accessed regularly for a wide variety of purposes and with this in mind and because our suburb is changing quite rapidly, we launched an exciting project to try to capture a snapshot of all of Surrey Hills and Mont Albert. The Society meets on the third Tuesday of the month and holds regular talks on items of local interest. Surrey Hills Historical Society member Ken James is a retired history teacher and lives in Camberwell. Even before he retired, he started writing mini histories of small Victorian towns and their schools, churches and literary or mechanics’ institutes. Often these were located in the former gold mining areas of Central Victoria. Ken is a meticulous researcher and very well-known at the PRO and SLV! He has about 20 publications in his own name and an equal or greater number in association with other authors. Surrey Hills Historical Society was thrilled when he undertook to research the Literary Institute located here between 1892-1917. It met in the Surrey Hall built by Mrs Elizabeth Elleker – the building still stands at 101-105 Union Road, now owned by Ross Hunt Real Estate. The result of Ken’s research is a 62 page book, illustrated and indexed. It includes cameos of some of the ‘movers and shakers’ who were involved in so many of the societies and organisations that sprang up to support the community in the then emerging suburb. For further information, see the review from ‘Useful Knowledge‘. In 1983 members of the Surrey Hills History Group used items from the collection to compile the pictorial history ‘Surrey Hills in Celebration of the Centennial 1883-1983’. This popular book has been updated and is available at the Centre for only $16.50.